Med-X-Ray Co, a leader in the X-Ray film Imaging Industry since 1978, serves the New Jersey and New York City areas. Our service extends to every facet of the Imaging market. We can provide service to the smallest private practice to the largest multi-campus Medical Centers. Fuji announces the XC-2 and XL-2 along with considerable savings in price. produce the highest-quality images while optimizing your practice’s workflow. The XC-2 and XL-2 have improved software and processing time, increasing throughput by 20%. certified for Agfa processors, lasers and film loaders. Also Kodak lasers and multiloaders. We are service agents for Konica Medical Daystar and film processors. Having quality control issues? We can rectify any problem or answer any question you have. See our accessories page for film envelopes, catagory jackets, and film mailers. 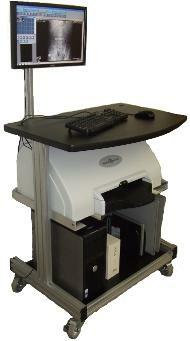 Equipment Leasing Partner of Med-X-Ray Company, Inc.